Has the Fidget Spinner TOY CRAZE hit your house yet? 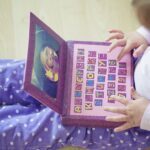 Has your child lost it and are you refusing to buy another? Or maybe you have some Fidget Spinners on order… but they are taking 3 weeks to arrive? Or maybe you simply don’t “want to give in” and “waste money” on the latest fad? Well.. my kids came to me and said (yes they did): you can make anything Mummy.. can you make us a fidget spinner toy? Shock horror on my face.. and then I started thinking about it. Actually, a basic Hand Spinner Toy shouldn’t be too difficult. 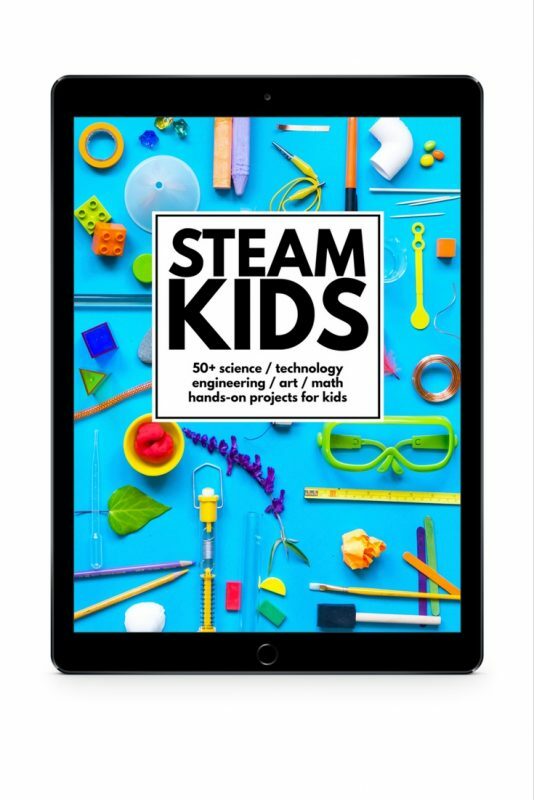 And of course these Fidget Toys make a good STEAM experiment for kids.. right? I did a bit of research.. and then spent quite some time “fiddling” to see which DIY Fidget Spinner without ball bearing would be the easiest for kids to make. And then we came up with today’s solution. I hope you like them.. even more.. I hope you have a go! You may also be interested in our selection of Paper Toys (great STEAM projects there too), as well as our Paper Pokemon Neverending Toys – which work well as Fidget Toys too! 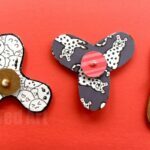 We have also brought together the “best from the web” with these DIY Fidget Spinners to check out – from cardboard Fidget Spinner DIYs like ours, to ones using ball bearings (they can be bought cheaply online and in bulk – US/ UK (aff links)). As mentioned in the video. I spent some time trying to come up with the EASIEST Fidget Spinner How To. What would the children be able to manage (more or less) by themselves. We tried toothpicks, wires and paper clips. We tried layering and we tried rubber bands.. in the end we came up with this Fidget Toy DIY. 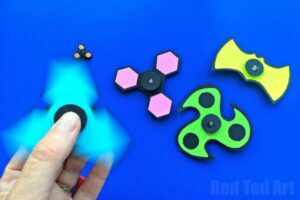 I also mention in the video, that these DIY Fidget Spinners are of course NOT as good as the shop bought ones. They have their limitations and they WILL break with use. The important thing is not to panic, or be annoyed, but to simply gather up your pieces (e.g. the toothpick may fall out) and glue it back together again. They are not perfect, but then they are EASY and they are CHEAP and they are still LOTS OF FUN. So with those caveats in mind, on to our how to make a fidget spinner video!! ENJOY!! As always, I would love to hear about your creations, do share your photos on Instagram or Facebook. Be sure to @redtedart me and let your friends and family know where they can find the Fidget Spinner Tutorial. You may also enjoy my friend’s AMAZING LEGO Fidget Spinner – so clever – and definitely one for LEGO Nuts! 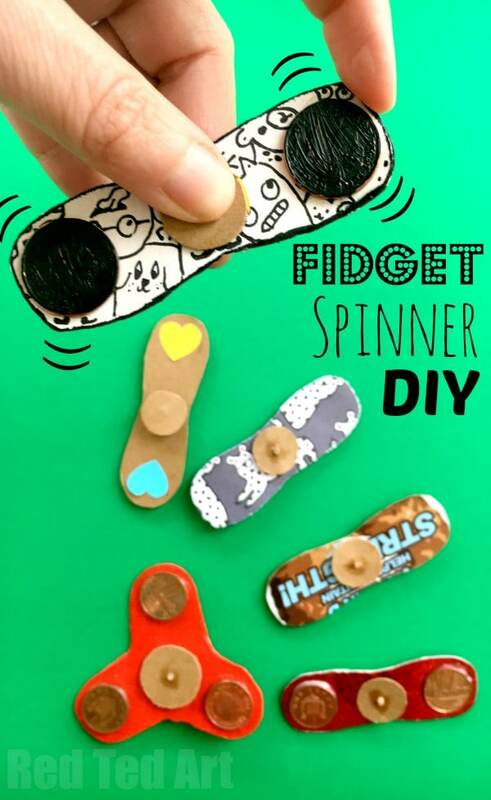 And there are lots more DIY Fidget Spinner ideas here. Fidget Spinners make a FANTASTIC Science exploration – as outline in our Fidget Spinners for Science Fairs posts. 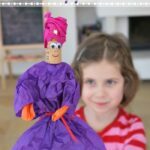 If you love the educational elements of this fun DIY.. you may also like the following! I don’t have one at the moment, I need to improve the Tri Hand Spinner a little. But will get it done next week. Please do check back!!! Or sign up to our newsletter which goes out Fridays and I will make sure it is included! THESE THINGS LEAD TO BE A CHOKING MATTER TO KIDS TOO…… SO BE CAREFUL WITH THEM AND DO NOT ALLOW KIDS TO PUT THEM INTO THEIR MOUTHS AT ALL..PARTS DO COME OFF AND CAUSE SOME SERIOUS IF NOT LIFE THREATENING MEDICAL ISSUES…… JUST READ AN ARTICLE ABOUT A CHILD CHOKING ON A PART OF THIS WHICH LEAD TO HER GOING INTO SURGERY TO HAVE IT REMOVED FROM HER ESOPHAGUS… PLEASE PARENT’S WATCH YOUR CHILDREN WITH THIS TOY!!!!!!!! These are meant for older kids.. but yes, agree.. keep them away from young children. Please add a template for the fidget spinner. My son would like to try the 3 point one as well. I don’t at the moment, I need to improve the Tri Hand Spinner a little. But will get it done next week. Please do check back!!! Or sign up to our newsletter which goes out Fridays and I will make sure it is included! Nice tutorial Maggy! Gonna try it out. Is there any way to make the spinner glow? Ooh what a great idea!!! I guess you could use glow in the dark paint.. but you probably mean more like a “light up LED” version, right? 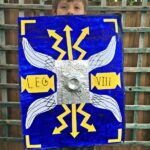 Love the idea of these as refuse to buy my kids them….do you have the templates available ? Thank you! Thank you for this idea! My kids are always leaving things behind/losing them so this is great! We also have pennies in the US and that’s what we will be using. Can’t wait to try these! Enjoy!! Make a whole set all once to save time! 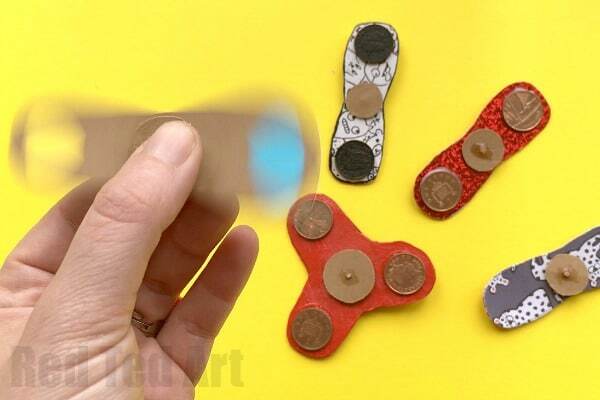 clever idea using recycled materials make fidget spinner . please upload the homemade template . In the process of sorting one!! Working on one now.. should have it ready next week and will make sure a link to it goes in the newsletter. Or come back and check for it! Wonderful. I will have a template ready for you tomorrow or Tuesday! These are very cool! My son is going to love this. I have added the template for the spinners. Did you not see the link? Please provide a template. Trying with my students to give to their mother’s for Mother’s Day. Question:can a hot glue gun be used instead? And personally I don’t think that a hot glue gun is strong enough, UNLESS you “smother the coin in glue”, so it is covered and held secure. 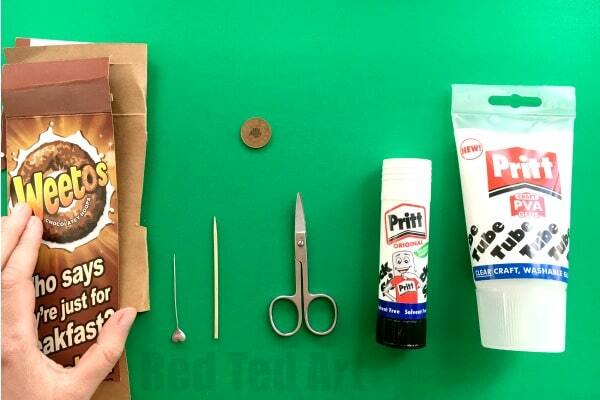 I would make a prototype and test it vigorously before using hot glue with the students! Good luck. Hi there , would you kindly share with me the template for the two head spinner? Is it advisable to use buttons than coins? I have added links for the templates? Can you not see them? And buttons COULD work, but they are not as heavy as coins. The heavier the better! Please send me the template if possible. You can download the template? I have added links! I love this spinner idea! Thank you so much! May I ask WHERE did you get your fabulous “play button” ring? I want one immediately!! I made it.. and I am giving one away on my YouTube channel this week! I think yes to both questions! 🙂 you could use beer bottle lids too? We are going to try this with hot glue. Has anyone here done that? Thanks for the creative fun spinner craft. Hot glue should work – a few people on YouTube have reported back and said it was fine! Thanks very much for this, we had a great time making these this afternoon. I cut out two templates for each of my girls thinking that they could stick them together to make them more robust. My 7yr old suggested we stick the pennies in the middle like a sandwich. It’s only been a few hours but I think they may last a bit longer? We used hot glue. No patience for drying glue here! My daughter said it’s better than a shop bought one because she’s got the colour and design that she wants! 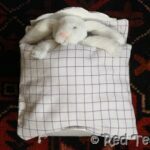 I enjoyed making them too, I think there may be more! Ooh yes, great idea!! Thank you!!! Thank you for the info. Please send me the template for the three wing fidget. 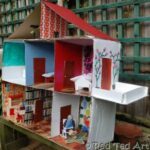 I have a youth summer camp group that I would like to have do as a project. 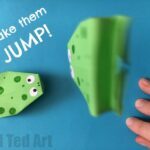 The templates are on this page https://www.redtedart.com/easy-fidget-spinner-diy-free-template/ enjoy!! can you send me the template? Great, I know many who have and it worked for them! We are siblings (high school and middle school) that run a STEAM blog and have been planning a Makerspace/STEAM family night event in our rec center. This might be one of the activities we pick since we still see kids playing with theirs. We are going to try this with hot glue.